Cato Neimoidia is the second map to this mod and has been in development for a few weeks. You might have seen some pictures of this map at moddb already. Will the source to this map be released as well? I'm trying to get motivated to work on the Xbox mod, and this would be a great catalyst. First of all: One Rebel Unit is still missing. He or she is going to be added soon. Also the Rebel HUD has not been done yet. This is why I just show you the finished imperial units. Also I am sorry for not uploading that much like usual. Christmas, Birthday, all these other days...I have not been online very often like I usually are. But this doesn't stop me from working on this mod. The imperial side is as much finished as the Republic side: 99.99%. Why not 100? Because there is always the one or other bug/glitch I didn't notice yet. And maybe there's something that needs to be done, added or even removed. Besides that....the imperial units and skins are going to be expanded. Snowtroopers on Hoth and Rhen Var are planned to be added. Also other skins for certain environments are a must-add. The rebels are still in progress. 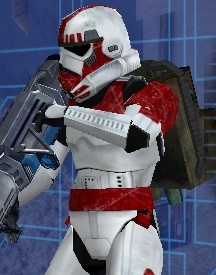 When the units+weapons+weapon sounds+HUD are all done...then I will aim to continue working on the vehicles, as well as finished the Clone Wars vehicles, finishing all GCW heroes (By the way: All Clone Wars heroes are completely done) etc. If both eras are finished at their wanted states I can finally build up a campaign and the last remaining game modes. Also improving the maps, fixing the HUD is another thing I am aiming for. If all these things are done we will start brining the eras to all stock maps+all bf1 maps (By Marvel4)+some custom made maps whose source scripts are available somewhere. Oh and custom animations are also planned. The GCW sides are really coming together nicely, both art and gameplay wise. The new map is looking great too! Nice work, looks like a whole new game! Nice work guys! Looks like this map will be as good (even better;) your last one! Looking real good so far! One sugestion I would make is that the Dark Trooper looks too small. It's supposed to tower over the other units. When I did mine in my SWBF1 mod, I had it mapped to the Wookie skeleton. Some weapon may need to be a bit bigger in fp. But great progress. When do you push?? ggctuk wrote: Looking real good so far! This is off topic, but what's the name of your BF1 mod? Would love to try it. Last edited by CdtFox on Sat Dec 31, 2016 9:29 am, edited 1 time in total. There's 2 reasons I didn't answer the question. First, this is their mod, not mine. 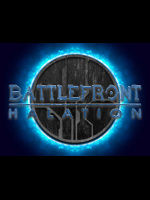 My mod has a similar name so I've avoided mentioning it here to stop the cpnfsuion (even though mine is for SWBF1). Second is my mod has content which cannot be posted on this site (which is why I never created a thread for it here). Not finished yet or released but it's now possible to get animations from SWBF3 thanks to Wobble. Hoping you guys can use them in the game once it's released i'll get around to releasing all the basic clone,storm,droids and rebels animations, really hoping they can be used in this mod. 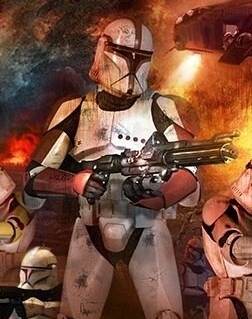 clonetrooper163 wrote: Not finished yet or released but it's now possible to get animations from SWBF3 thanks to Wobble. That is utterly fantastic news! 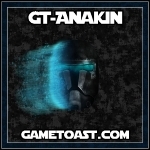 Loving the continued commitment to this Battlefront 3 Legacy Mod that you guys are doing! I may be jumping the gun on this question but do you have a release date or a Beta/Alpha test date in mind? I completely understand it takes many months, if not years to create a map with the assets and sides from another game from scratch but it seems so much has been accomplished in a short period of time. 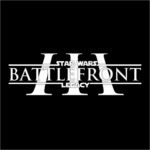 MikeTheBeast55 wrote: Loving the continued commitment to this Battlefront 3 Legacy Mod that you guys are doing! I may be jumping the gun on this question but do you have a release date or a Beta/Alpha test date in mind? I completely understand it takes many months, if not years to create a map with the assets and sides from another game from scratch but it seems so much has been accomplished in a short period of time. They've already released a Beta and it contains just Corascant with 3 modes. CTF, Deathmatch, and the new Supremacy mode but only covers the Clone Wars era with 4 classes and 4 heroes , two for each side. X2 and Anakin for the Republic, Assaj Ventress and General Grievous for the CIS. LordStarkiller wrote: They've already released a Beta and it contains just Corascant with 3 modes. CTF, Deathmatch, and the new Supremacy mode but only covers the Clone Wars era with 4 classes and 4 heroes , two for each side. X2 and Anakin for the Republic, Assaj Ventress and General Grievous for the CIS. 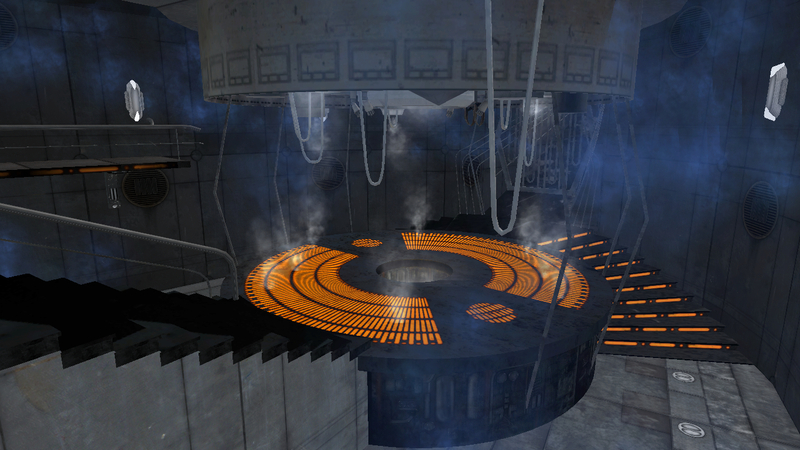 I know they released Coruscant as a beta map but I was asking about the Cato Neimoidia map they were working on. Ah, cool! You're doing Bespin too!